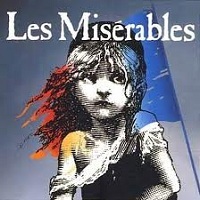 Widely considered as one of the greatest novels of the nineteenth century, Les Misérables (literally “The Miserable Ones”) by Victor Hugo reeks of passion, idealism and high drama. Victor Hugo was a brilliant poet, playwright, novelist and an occasional polemical writer of a French descent. Aside from his stellar writing, he was also a visual artist, a statesman and an exponent of the Romantic Movement in France. At the young age of twenty, he had already written two tragedies, a melodrama and a multitude of poems. The artist’s strong support on political and social issues clearly transpires through his works. The novel tells the story of Jean Valjean, an ex-convict who was imprisoned for the petty crime of stealing a loaf of bread to feed his starving sister. Freed at last, Jean travels the path of evil to good with a lot of struggles along the way. This historical fiction is a strong testament to the strength of the human spirit as well as a deep analysis on the nature of law and grace, social injustice in 19th century France and the social impact of the French Revolution. A key player on this novel is Hugo’s concept of resurrection. Jean goes through a series of physical resurrection after learning an important lesson. This shows man’s flight from his old morality. All in all, Les Misérables is without question one of the most compelling novels ever written. It that kind of book that soars to the upper echelons of emotional power, heart and social rebirth.